In Texas, we enjoy riding horses and climbing hay bales for fun. 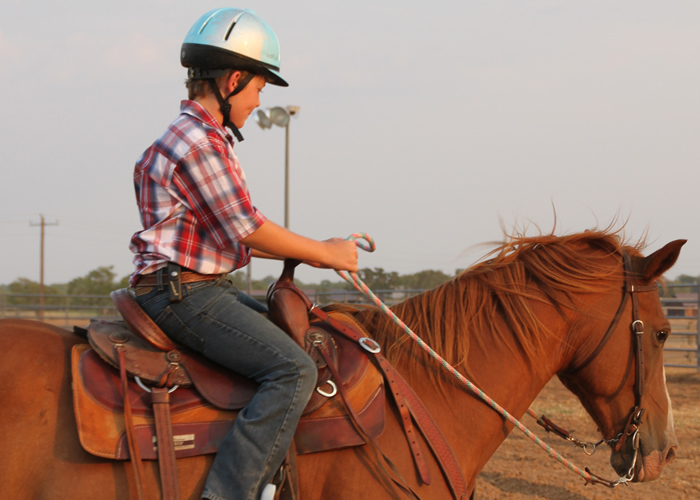 Most kids who grow up in the Texas countryside will tell you about their adventures taking trail rides, roping in mini rodeos and climbing hay bales for entertainment. We want to give you a taste of what it is like to grow up in this special state with a few activities cognizant of our favorite childhood pastimes. Have you ever heard of Rock Climbing? At Picosa Ranch, we do it a little differently. 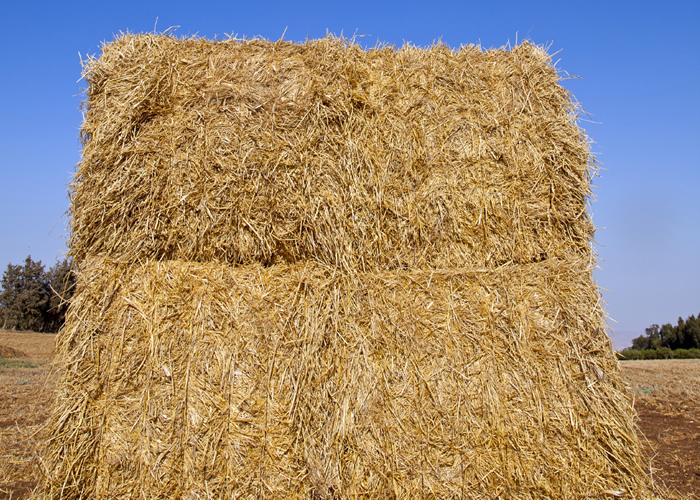 Children and adults will enjoy climbing a carefully placed stack of hay bales. You can easily and safely climb to the top of the hay mound and enjoy the feeling of accomplishment and exuberance for completing the task. 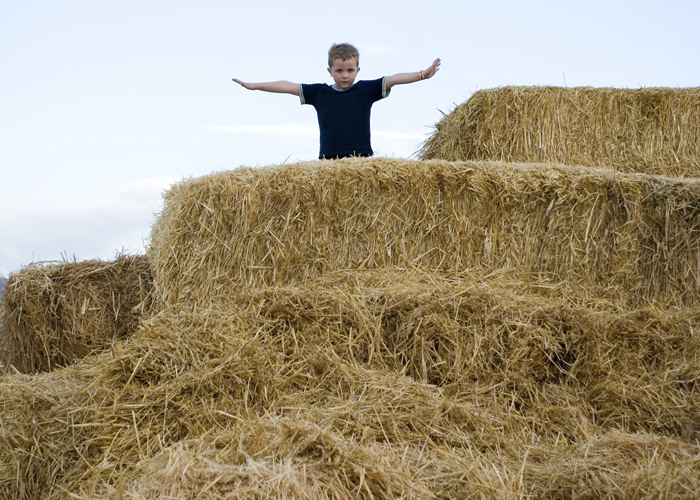 Climbing hay bales is a favorite pastime of children in Texas and we are sure you will enjoy it as much as we do. Hay rides are the next best thing to riding through Picosa Ranch on horseback. A popular activity with all ages, guests can hop on the back of our trailer filled with hay as we take a tour of the property. Waiting for us at the end of our journey will be a delicious gourmet meal and activities for everyone to enjoy - including horseshoes, washers, bocce ball and more. Something you will remember for many years to come. Horseback riding taken to the next level! Imagine riding through the Texas countryside in the same way cowboys did many years ago. Enjoy a guided trail ride through the Picosa Ranch property and discover the way of the land and all of the magical stories it still holds. Enjoy a chef prepared dinner by the fire. It will be something you will remember for many years to come. Get ready to saddle up, cowboy. For hundreds of years, the preferred method of transportation in Texas has been riding through the land on horseback. It is no different at Picosa Ranch. The best way to explore the expansive property is from the saddle of one of the ranch resort’s horses. A guide will lead you on horseback to explore various areas of Picosa Ranch. Ride through the property to see the numerous animals, gallop across the vast pastures and discover special treasures that the land still holds.